This selection has the top ten breakfast items we offer. 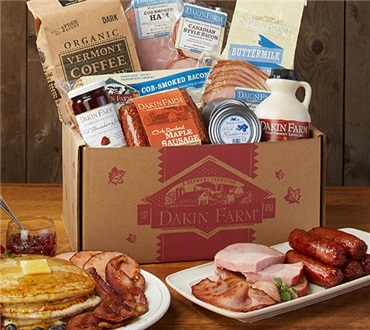 Everything you need to make the best Vermont Breakfasts! Foodie, Health Conscious, High Quality/High End! The quality of the meats, maple syrup, pancakes and preserves where delicious and everyone who tried it enjoyed it. I would definitely recommended. It made our holiday extra special. Ourselves and others. Great products! We love them.